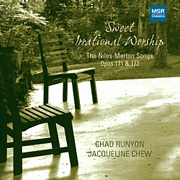 Chad Runyon is an award-winning vocal performer, conductor and instructor. Studio VOICE RECITAL, LOPC, 49 Knox Drive, Lafayette Each January and June, students perform songs they have been working on in studio. The recital is videotaped and a reception follows. Chad Runyon has appeared on television, radio and concert programs in Japan, Australia, Singapore, Korea, the Philippines, Taiwan, Hong Kong, Europe and the United States. He was a member of the Grammy Award-winning ensemble, Chanticleer, from 1988-1997. In the San Francisco Bay Area, Chad has appeared with the Philharmonia Baroque Orchestra, American Bach Soloists, the Men and Boys of Grace Cathedral, the San Francisco Opera and the San Francisco Symphony Chorus. 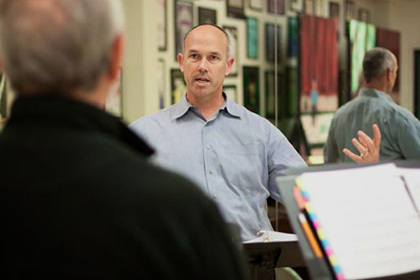 Chad teaches weekly lessons at his studio in Danville, California. Whether you have studied voice privately before or not, you will benefit from lessons because of the one-on-one interaction with an accomplished singer and voice teacher. It’s your time to ask questions about your voice, to learn the music you are working on, to develop a reliable technique and, of course, to sing! With study and practice, you will understand your voice better.